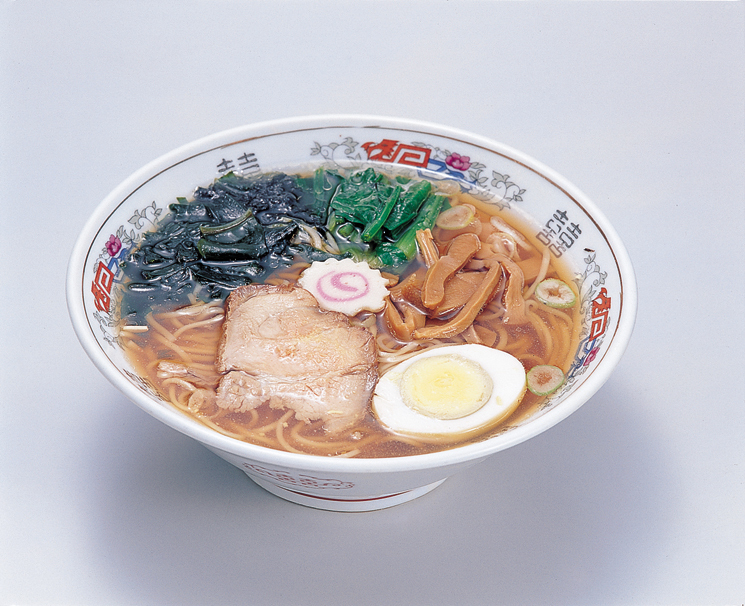 What are called ramen in Japan are Chinese-style noodles made mainly of wheat flour and seasoned to suit the Japanese palate. The name is thought to stem from la mian (la mien), the Chinese word for "stretched noodle," because the noodles are pulled out by hand into a thin thread. The noodles are eaten with a broth seasoned with shoyu (醤油 しょうゆ soy sauce) or miso(味噌 みそ soybean paste) and garnished with slices of roast pork, bean sprouts, bamboo shoots, and other ingredients. Restaurants specializing in ramen are everywhere. Dehydrated and packaged "instant ramen" are especially popular with young people as an afternoon or midnight snack, and are available in many flavors in convenience stores.